When it came to creating a master plan for Scott Point Sustainable Sports Park in West Auckland a complete shift in thinking was required by landscape architects Catherine Hamilton and Ben Taylor. The pair from WSP Opus needed to come up with innovative design that considered sustainability principles such as minimising waste, emissions and resource consumption at every step of the design process, from the overall site arrangement to the selection of materials. The design was developed in collaboration with mana whenua and stakeholders. “As Auckland’s, and New Zealand’s, first sustainable park it’s a pilot for the way Auckland Council will consider the design and management of other parks in the future,” Ben Taylor says. The master plan for Scott Point Sustainable Sports Park provides for sports and active recreation, informal recreation and conservation. Many cities around the world are transforming to a resilient, energy efficient, low carbon future. Auckland Council is joining this shift with a commitment to sustainability, Taylor says. Stormwater capture, treatment and reuse will minimise park maintenance and use of potable water for irrigation. Renewable energy such as solar panels and wind turbines will be used to provide a ‘closed energy loop’. Special paver technology will also harness kinetic energy, produced when people walk on them. And the energy generated from children romping around playground equipment will also be reused for things like powering the LED lighting. The site of the Scott Point Sustainable Sports Park, with the Waitematā Harbour in the background. The layout of the park has been driven by the retention of natural landforms to minimise the need for earthworks. Provision for sustainable transportation to, from and around the site,including public transport, electric vehicles and e-bikes, has been incorporated in the design. Re-use of materials that exist on site, as well as utilising reclaimed materials from other demolition projects, will minimise construction waste. New materials will be permeable, have lower embodied energy (energy and emissions expended to produce and install them) and include modular products to enable future reuse. The critically endangered native species Epilobium hirtigerum, a colonising plant species which thrives on disturbance, is found on site. Standard ‘protection’ measures are contrary to it’s preferred living conditions and therefore require a left-field response: community ‘scraping’ days in which the ground is disturbed in a managed way to promote the growth and dispersal of the species – the brainchild of the Hobsonville Secondary School student group, ‘Epi-Lovers’, who played a key part in the stakeholder engagement. The Scott Point Sustainable Sports Park will become the largest public open space and local sports park for the Scott Point, Hobsonville Point and Hobsonville communities. 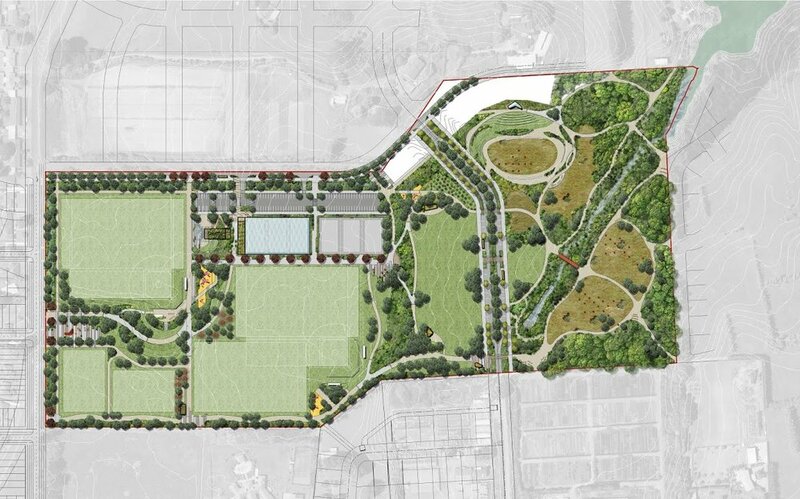 The new park will comprise three distinct areas: sports and active recreation, informal recreation, and ecological restoration and conservation. Once completed, nearly half of the 16.4 hectare site will be restored to the natural ecosystems that were originally there. Facilities for sports and active recreation, including natural and artificial turfs, as well as covered and uncovered hard courts take up just over a quarter of the park. The remaining land will be developed as informal recreation and gathering spaces, low-impact design car parking areas, paths and trails; providing the community areas where they can enjoy anything from vigorous exercise, to community events, to relaxation. 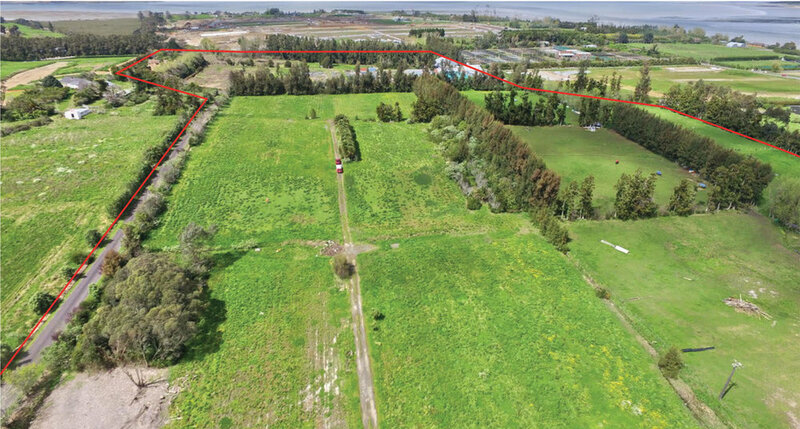 Taylor and Hamilton say Scott Point, which sits in the upper reaches of Auckland’s Waitematā Harbour, has become a degraded landscape dominated by agricultural monoculture and horticultural land uses. A considerable proportion of the peninsula is lined with large lifestyle blocks that reach to the water’s edge, ultimately separating people from contact with the foreshore. Scott Point Sustainable Sports Park will provide an opportunity to restore ecological value to the area and reconnect people with the coastal edge, nature, the land and water, they say. The critically endangered native species, Epilobium hirtigerum. Collaboration with Ngā Maunga Whakahii o Kaipara Development Trust and Te Kawerau Iwi Tribal Authority from the project’s outset has been integral in the concept development to ensure that Māori values and principles are embedded in the master plan for the site and in relation to the wider rohe (cultural landscape). Against a backdrop of immense threats to the environmental health of our planet, Scott Point Sustainable Park is set to shine a light and show that urban growth and sustainability can co-exist, say Taylor and Hamilton.